Welcome baby Miles! This is another Smith Family and they added a beautiful baby boy, Miles, to their family in July. Big sister Makena was so good during our shoot and we got some of my favorite images of the kids together. Mom and Dad weren’t interested in being in the photos, but maybe I can talk them into it the next time around. I just love his squishy face and those tiny feet. My friends think I’m a little weird, but I love the newborn stage. I love holding little ones and was honored to hold this one for a bit after our shoot. I usually only get to shoot smaller, immediate families. 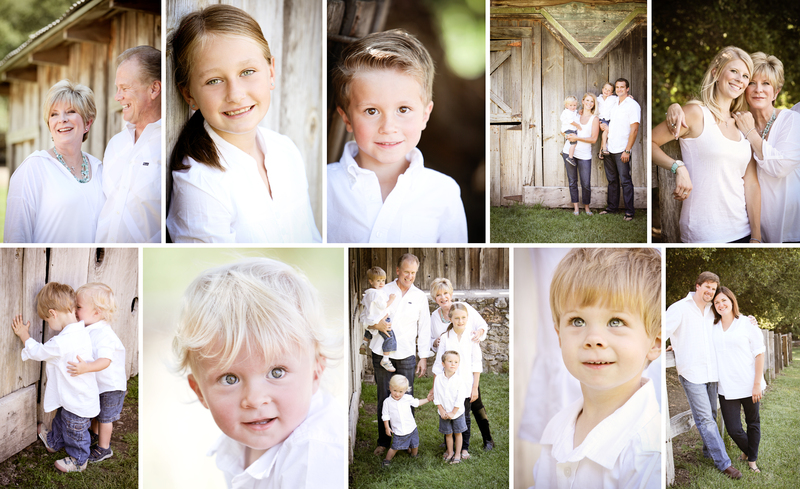 It was fun to shoot a big extended family, especially one that had so many laughs during the shoot! We shot this at Pinchetti Ranch. It turned out to be a wonderful spot for photos. I love the old fences, distressed barns, and rolling hills of grass. Sometimes you see the resident peacock and even deer running through the fields. It definitely stays on my list of great locations to shoot family photos. 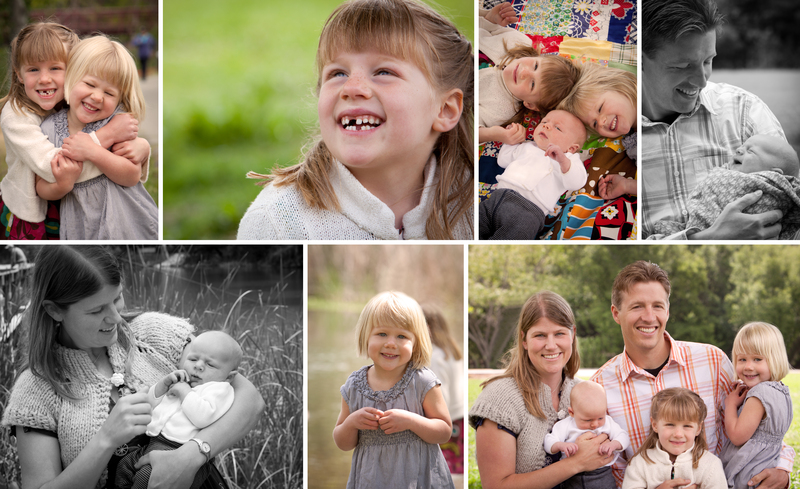 The last time I shot pictures of this family was at Molly’s wedding, several years ago. I love to see how it has grown and how much the kids look like their parents. Thanks for asking me to take pictures! Can’t wait to meet the new little ones arriving in 2012, congrats! This is also a Smith Family. Our kids played together for a long time in a playgroup, until they started school and now everyone is to busy to get together every week. But I love seeing this family at the birthday parties we all attend. Hopefully we can carve out more time to see each others families in 2012! Thanks for waking up early Brad, that morning light was great! I can’t believe it’s already December. Time does have a way of speeding by when you are busy. I still have a bunch of jobs to share that I shot this summer and fall. It feels a little silly to post something I shot way back in May, but I don’t want any of my families to feel left out! Plus, it has forced me to look at some old images to sell for stock and get new images together to update my website in the new year. This is the Smith Family. Fun fact, their names all start with the letter M. They added a new “M” in the spring and called me to take some family pics. 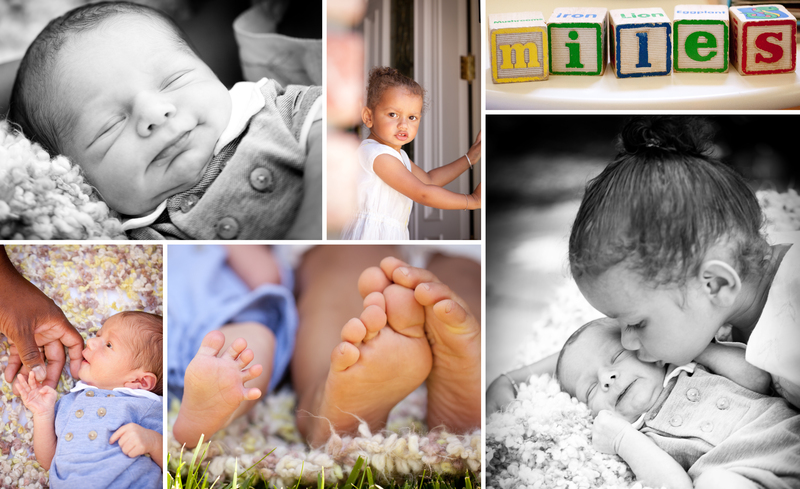 The kids were great and even though the littlest “M” didn’t want to be put down, I was glad to capture some bonding moments between the family. I love this little girls’ big smiles! I can’t help but to smile myself. Her eyes are stunning too. We had a lot of fun roaming around the Rosicrucian museum looking for some good spots to shoot in after getting kicked out of the Rose Garden. (see Grace’s post) It turned out to be a great spot and I’ve used it a couple times since. 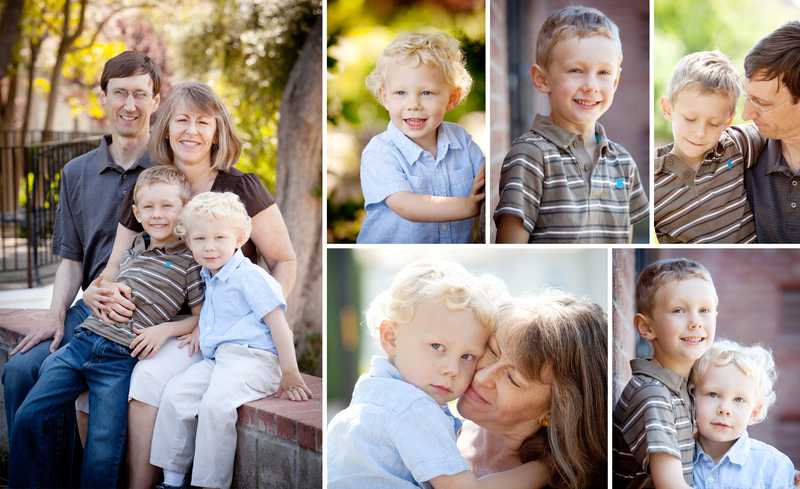 I love being able to photograph kids year after year and see how they have grown and changed. 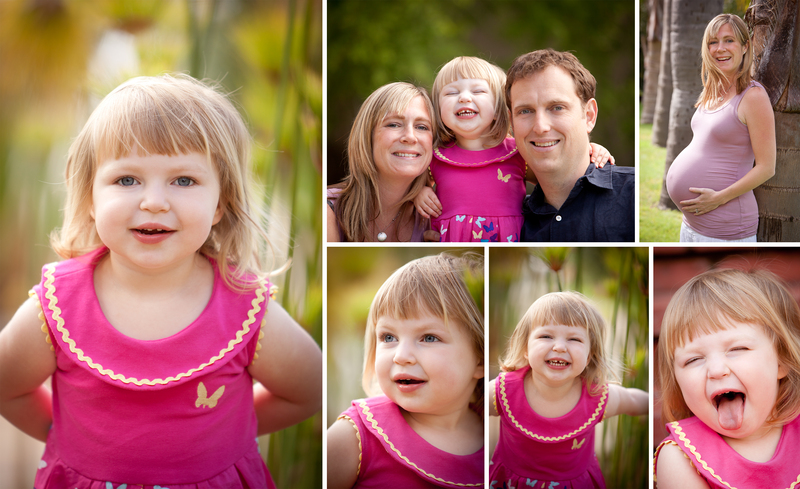 This is little Ella and her family. She was such a cutie and I love her big grin. She worked hard for her M&M’s and I’m sure she was on a sugar high for the entire morning after our shoot. We shot this at the Rosicrucian Museum in San Jose. It turns out that it’s a lovely location, with lots of different areas to shoot in. My favorite is shooting with the papyrus in the background. It’s so pretty and soft. Since our photo shoot, Ella welcomed her little sister Lauren. You have a beautiful family Ella! I shot this family shortly before it added a new family member. It’s a nice way to capture what your family was like before it grew. You think you’ll remember, but I am personally finding it hard to do that. We went up to the tried and true Villa Montalvo. 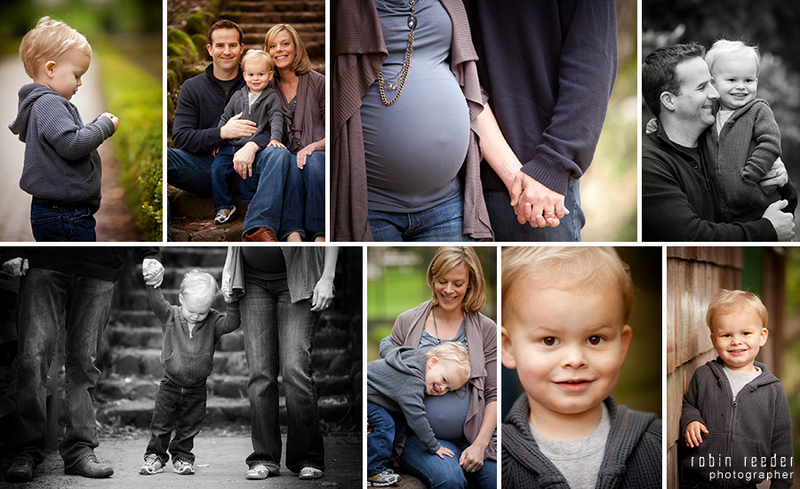 My very pregnant friend graciously walked to many spots to take pics of her oldest son, the family together and some belly shots. I also got a chance to meet the newest member of the Fleming family shortly after he was born. 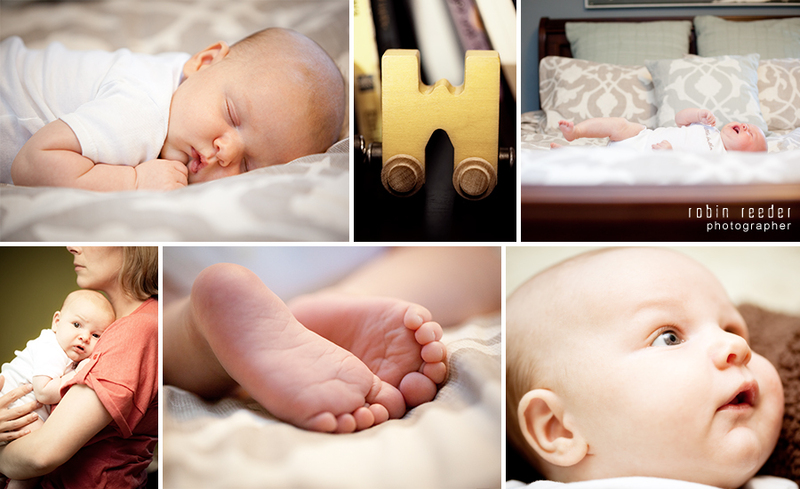 I ran over to do some quick newborn shots of the little guy. He was actually not so little, born at 9 pounds 13 oz, but it was nice to capture him while he was still a newborn. They change so fast, another thing you think you’ll remember but it’s really hard months and years down the road. And again, I know this from personal experience…you should see the baby books and half done scrapbooks I have for my daughters! It’s a disgrace, but I’m glad that the Fleming family will have these times preserved for them. Thanks for letting me be a part of this special time as your family grows! 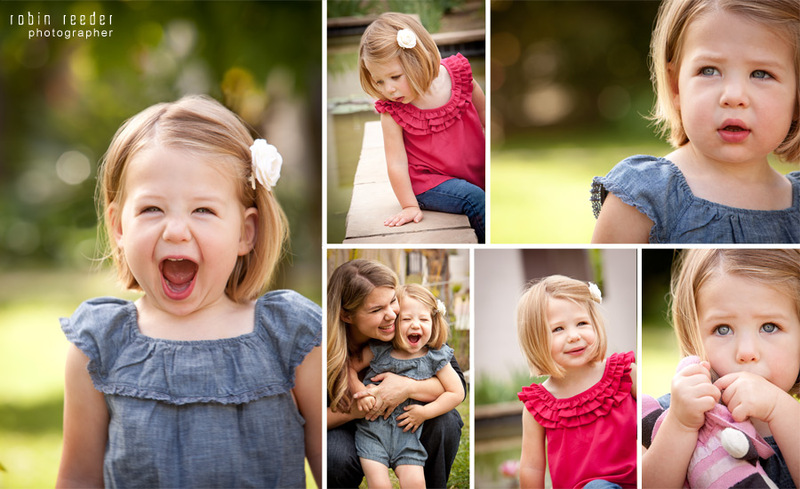 It’s one of my favorite things about photographing kids and families.